How many Delicas are out there? This is a question mostly for Sal, but if anyone else knows feel free to chime in. How many Delicas have been produced since the model was introduced? A million? Less? More? Not looking for an exact figure, just curious. Someone at work had been asking me about my Jade M4 Native 5 and asking where they could get one, and I was explaining to them it was one of maybe 1,200 in the world. 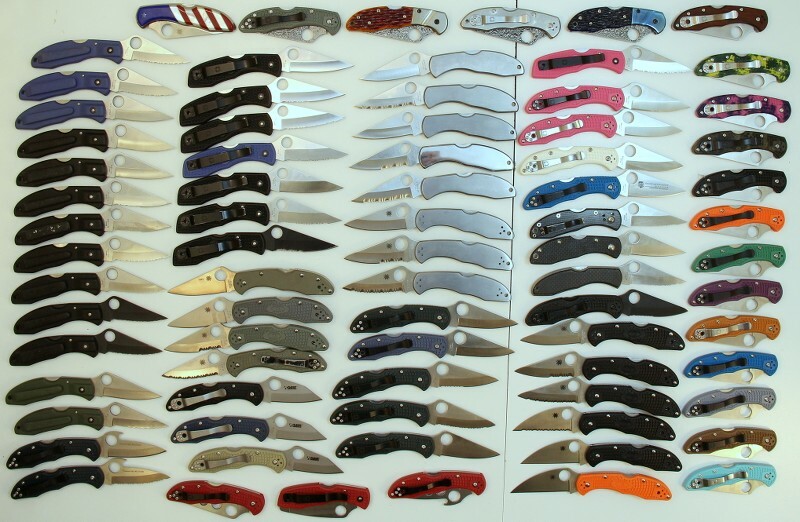 And it got me thinking whats the most produced Spyderco? I figured there has to be more Delicas than anything else. Re: How many Delicas are out there? Not enough! I bought my dad one as part of his thank you gift on my wedding day, and now I think I need a matching one for myself. I haven’t seen more than 16 all togeather. There are 38, but they're all in Australia. I would guess more than a million. Nice! Those Damascus ones are beauties. 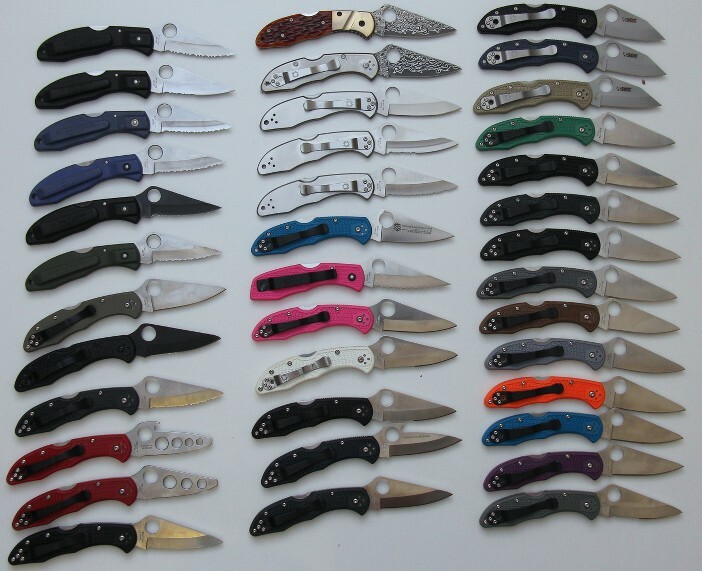 What are those reverse tanto looking ones in the upper right? What are those reverse tanto looking ones in the upper right? More than a million he humbly says! Any knife that has been produced in those numbers is a significant knife and the Delica is a home run. More than a million? And here I am with just 7, I think. The photo above was taken a few years back. This is the latest one and it needs to update again. The number of variations of the Delica I have at the moment stands at 88 and I have many more to find. I've constantly wondered why there isn't a PE dlc with black frn. Why CE? Still want olive green with dlc delica. That is super impressive. Awesome collection!